← Changed Lives – Sleep Induced by God? From Beyond the Pulpit – Creation Sabbath is October 27th—Why Does That Matter? Many of you have received an NPUC gift in the last week or so: a DVD set of lectures by, uh, me! “In the Beginning” is a series of programs we recorded at this cool, old 1920s-era Elsinore Theater in downtown Salem, Oregon. Some people who lean towards theistic evolution (that God created lifeforms via evolution and millions of years) do so because they haven’t seen the objective science that supports design and refutes evolution. For instance, when has PBS or National Geographic quoted Dr. Denis Noble, of Oxford University, as stating that “all of the assumptions of Neo-Darwinism (mutations or copying-errors drive evolution) have been disproved.” Noble was hoping some of his colleagues could discover a better explanation than the currently accepted one of how evolution must work. This is because all that could be tested of Neo-Darwinism was not being supported in the laboratory. The truth is that we are not mutants! We are not animated pond scum, like John Lennon sang, “oozing up slowly.” But if our young people only hear this pseudo-science theory over and over again, how can suicide rates among them ever get lower? If we are all biological accidents what is the point to life? So, what message of hope would you like to share with your congregation on October 27th, the official “Creation Sabbath” so designated by the General Conference? It could be a fulfillment of Revelation 14. How about this: that God knew us while we were in our mothers’ wombs…and loved us even then? 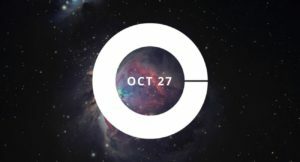 Comments Off on From Beyond the Pulpit – Creation Sabbath is October 27th—Why Does That Matter?